If a hospital patient was suffering with a contagious virus, chances are they would be separated from other vulnerable patients to minimise the risk of the illness spreading. This idea of separation is equally important for design engineers working on the latest medical technology to mitigate electrical problems. Here, Steve Hughes, managing director of REO UK, explains why. From portable defibrillators and medical carts to surgical robots and computed tomography scanners, the medical industry uses thousands of electronic devices and equipment to improve the quality of treatment and diagnosis. But, while these devices provide indisputable benefit to patients and practitioners alike, they can create issues for electrical infrastructure — and other systems. The trouble with any densely populated network is it becomes noisy, and the same is true of electrical infrastructure. 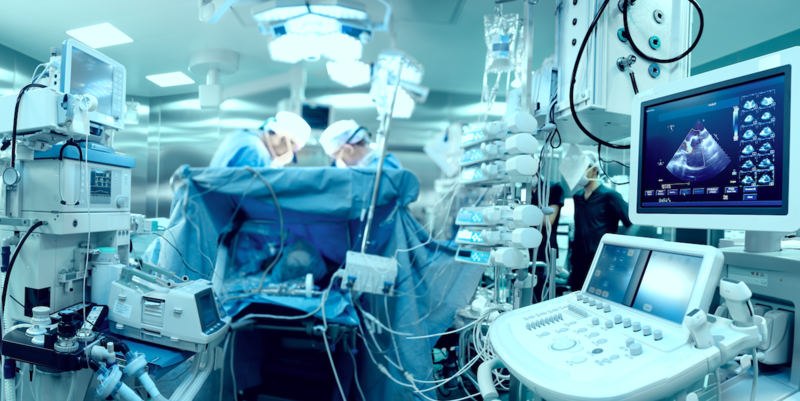 As a growing number of devices are used in hospitals, for example, the electrical network becomes prone to problems such as harmonic currents, voltage fluctuations and, most pertinent of all, electromagnetic interference (EMI). The medical industry’s battle with EMI is a long one. As summarised in an article published in the British Cardiovascular Society’s Heart journal a few years ago, “electromagnetic radiation may interact adversely with implanted pacing systems and implantable cardioverter defibrillators (ICDs)”. While many of today’s implantable devices are designed with electromagnetic compatibility in mind, there is room for improvement in other medical devices. For many years, it has been a requirement for all electrical MedTech that is to be used in the European medical market to be designed to EN60601-1 standards. This standard governs the safety, essential performance and EMC of equipment. However, more guidelines and regulations have recently come to the fore. The new EN ISO 13485:2016 guidelines for quality management of medical devices formally came into effect in 2019, and these put a greater responsibility on MedTech manufacturers and designers to evidence quality and risk management in product development. This means design engineers now play a greater role in risk management, by designing medical systems that are reliably protected from EMI in today’s complex medical environments. One of the most effective ways of maximising safety in electrical systems is by isolating equipment. The Institution of Engineering and Technology (IET) has stated that secure isolation of high energy electrical systems is a main requirement for safe work, and at REO UK we would extend this to say that isolation is a central requirement of any medical device. In our recent Engineering a safer future for MedTech whitepaper, we explained the practical impact that EMI can have on medical devices. Further to this, we emphasised the role that both design and electrical engineers will play in ensuring that the future of MedTech is safe and effective. One of the main ways of achieving this is with electrical isolation by incorporating high quality electrical components that allow for safe galvanic separation. For example, we developed the REOMED range of isolating medical transformers to provide galvanic separation between primary and electrical circuits. This limits the risk of electrical leakage and, in turn, both minimises the interference to other devices and safeguards the device it is integrated into from any power quality problems afflicting the network. These isolating transformers can easily be integrated into medical equipment designs, such as for surgical robots and MRI machinery. In doing this, design engineers can play a key role in helping the device meet the stringent EU requirements for MedTech. We can think of it as the device being quarantined from the network, both for its own safety and for the safety of others, just like a patient might be. In doing this, the rest of the electrical network can remain stable and healthy.